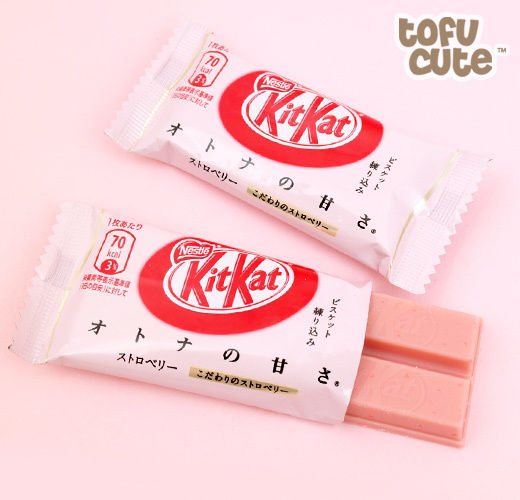 tofu cute blog / features / every japanese kit kat flavour, ranked! 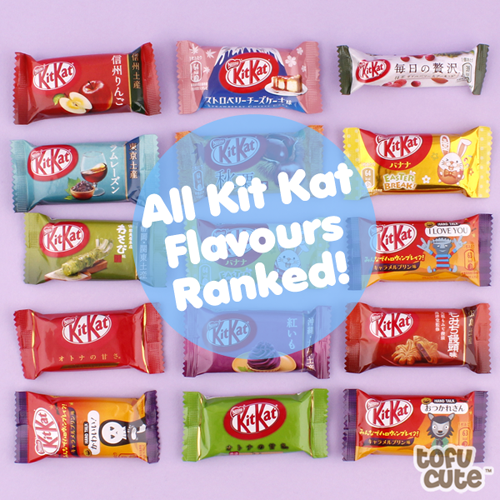 Every Japanese Kit Kat Flavour, Ranked! 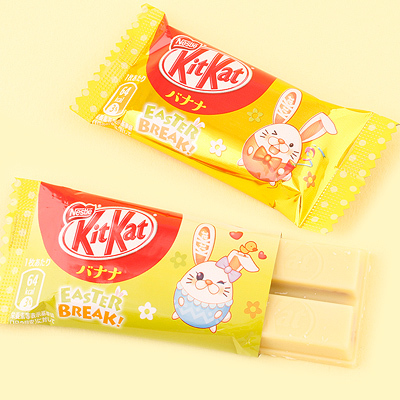 It's no surprise that Kit Kats from Japan are popular - with so many different types of delicious flavour, the Kit Kat game in Japan far exceeds what we receive in the UK. 'I already know this,' I hear you cry. 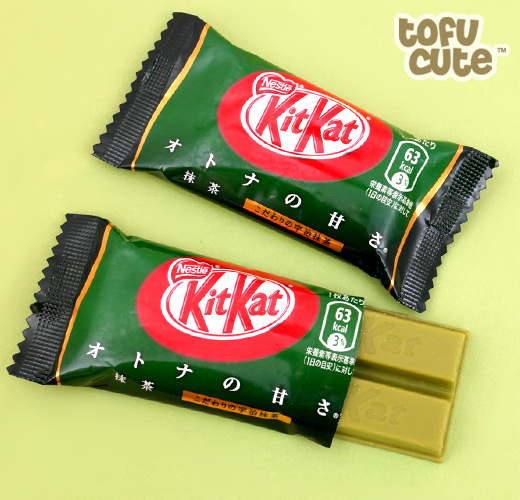 If you've read the title of this article though, you'll know that I don't want to bore you with a history of Kit Kats. 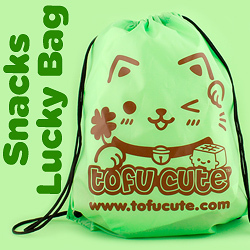 Instead, I want to bore you with my personal opinions on ALL of the flavours we have available at Tofu Cute at this current time, ranking 16 different flavours starting with the worst and ending with the best! This means that flavours we've stocked before but have been phased out won't be included here, but perhaps if we get new flavours, I'll revisit this list in the future. This is all my opinion of course (Quentin had some input) and I don't expect you agree, but isn't that what makes list articles like this so exciting? Can you blame me for starting with this one? I like wasabi - I think it makes a good accompaniment to many dishes. 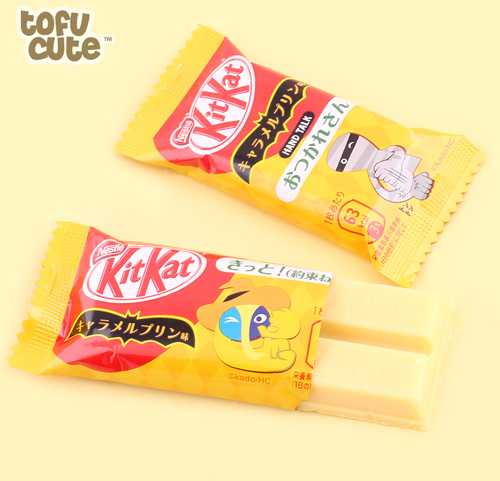 But I don't think it makes a good pairing with Kit Kat. This definitely isn't the worst Kit Kat objectively, but I also don't think it deserves to be much higher on this list. 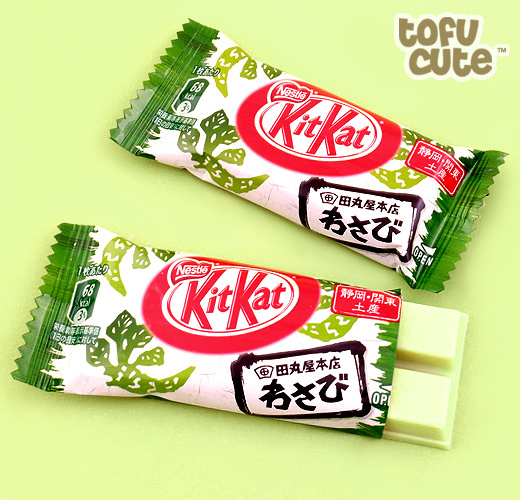 I thought a lot about which one should be last place and changed my mind a few times, but this one's here because it just doesn't taste as delicious as many of the ones higher up on this list, because I don't know if anybody honestly designed the Wasabi Kit Kat with pleasure in mind. 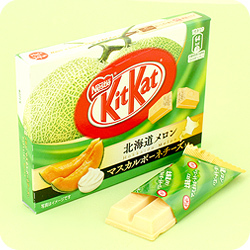 It's shockingly accurate to the spicy taste of wasabi, but I don't think that taste should be mixed with chocolate. It's very unique! I'd like to go on the record and say that I have nothing against this type of Kit Kat, I just don't have any strong opinions in its favour, so it naturally fell to 13th place. 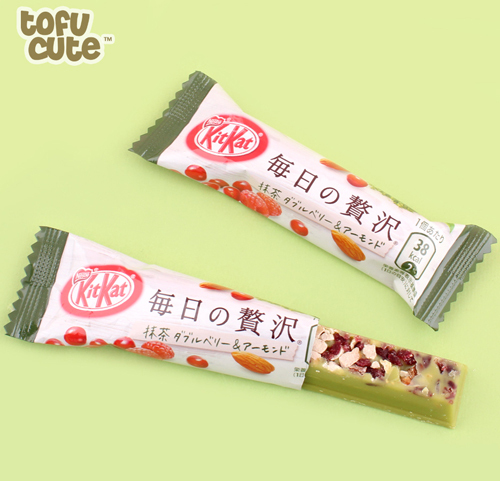 It's flavoured like a traditional Japanese pastry that contains red bean paste, and it does a good job of mimicking that taste, it's just not too exciting to me. Maybe it's your jam though? 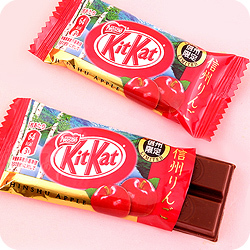 So I think that this Kit Kat is nice, but the apple flavour always seems slightly obscured by the taste of the chocolate itself. 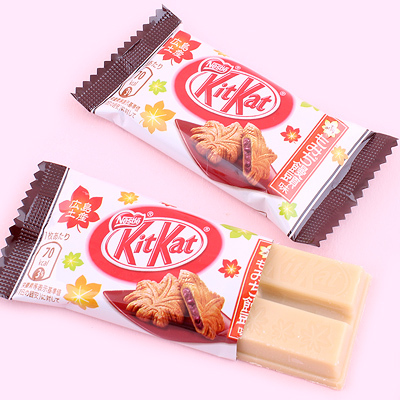 In terms of packaging, it has one of the nicest designs of all the Japanese Kit Kats available, so it definitely gets some bonus points though. 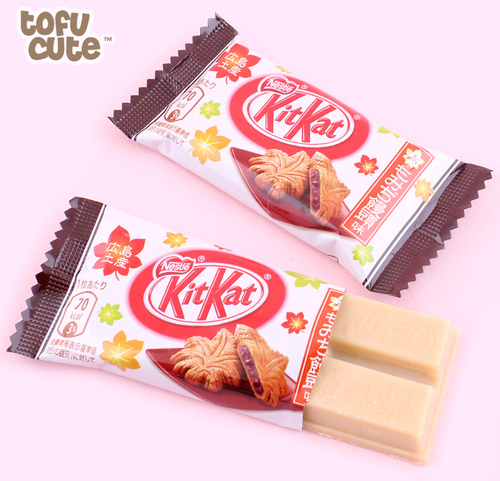 This is a nice Kit Kat with a simple flavour, but many of Team Tofu simply agree that it isn't as good as some of the others on this list! 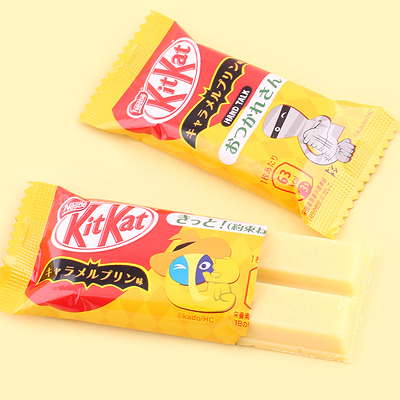 I'm a fan of this Kit Kat and the use of this flavour - it's the sort of flavour you would find in an ice cream parlour with a wide assortment of flavours. I miss ice cream parlours. I can agree in terms of major downsides it has quite an overpowering taste; the rum flavouring comes through strong, and the notes of raisin or even the white chocolate base can be hard to detect. With a light colour and a two-tone turquoise packaging it's also a very stylish Kit Kat, and if you like the overpowering flavour of rum you'll get something out of this Kit Kat. 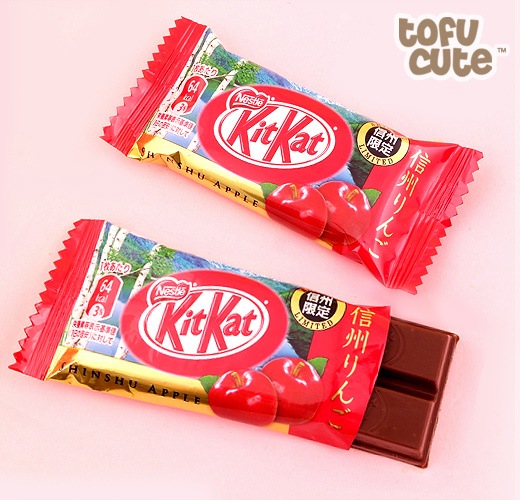 This Kit Kat gets the coveted tenth place for bucking tradition and providing a single finger of Kit Kat with a variety of added berry & almond pieces as opposed to the usual 'twin' Kit Kats intended to be broken into two parts. Now that's what I call innovation. Probably. 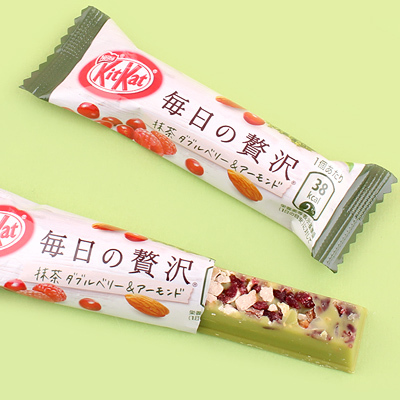 The taste of the Kit Kat itself is an undeniably good combination of earthy matcha and sweet berry alongside crunchy almond, but perhaps it's trying to take on a bit too much at once. In the single digits, we have this divisive but bold take on the Kit Kat with Autumn Chestnut. We know its serious when a season is included in the flavour title. There's an attempt here to make chestnut into something delicious & addictive. Chestnut as a flavour wasn't something I had really thought about a lot before, and for a brief period, this kit kat changed that. It works, and it works fairly well. The Kit Kat itself is a delightful experience - a classic pudding flavour that brings me back to my childhood. It's definitely very tasty and worth a try! 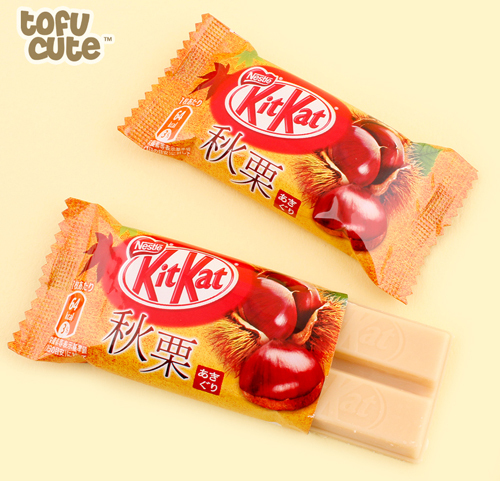 Our first tie on this list goes to the two types of Strawberry Kit Kat, which can only be described as a classic Japanese Kit Kat. These two are placed together on the list as there isn't much difference between them, although the three-pack (like the other three packs on this list) comes in a premium looking gift-box with a glossy finish, and would make an excellent gift for any chocolate lover! 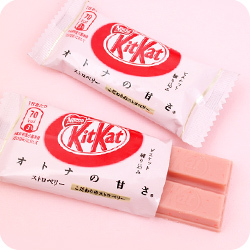 Strawberry Kit Kats get this high spot on the list for maintaining the test of time as a classic flavour that recreates a sweet strawberry test, without any unnecessary gimmicks. 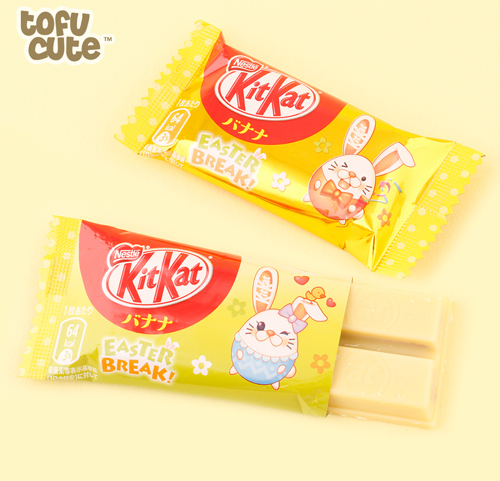 Easter is coming soon, and what better way to celebrate than with a delicious tasting Kit Kat. 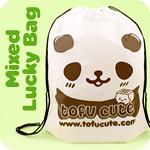 This flavour is banana, which is a favourite amongst many members of Team Tofu. The taste is a unique one, a bit like classic 'foam banana' candies which you may remember, but somehow even better. 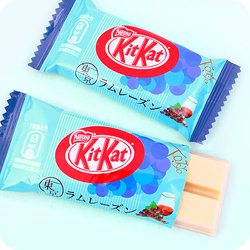 This flavour, when blended with the classic Kit Kat white chocolate mix and wafer makes for a delicious treat. Bonus points are awarded here for having a secret 'rare' version of the packaging which is a shiny gold as opposed to the standard yellow. I love adding a pointlessly rare option to things. Which one will you get? 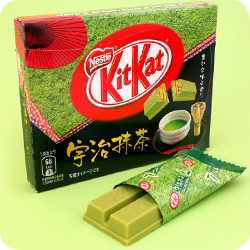 We'll always have Matcha Kit Kats. In an unreliable & often scary world, you can take some solace in that fact. 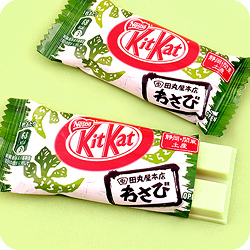 Our Matcha varieties of the Kit Kat come in at a strong 4th place for holding it down for so long. 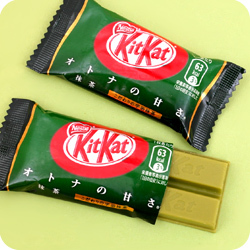 These brave heroes of the kit kat world deliver that authentic & earthy green tea flavour that you know and love in chocolate wafer form, and it couldn't be better if it tried. Amazing. Taking the bronze medal for 3rd place is this exceptionally flavoursome Kit Kat, which does a great job of standing in for a real cheesecake. 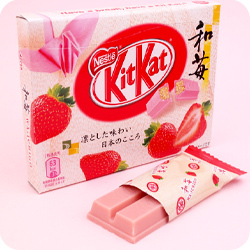 It's in a better place than the standard strawberry Kit Kats because there's just something about the added milkiness in this variant, and combining this dessert with Kit Kat just makes sense. 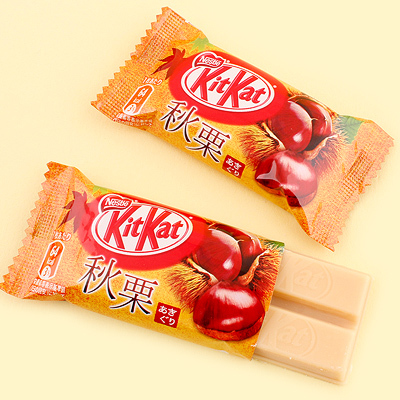 I know I wrote about this White Peach variant in the last blog, but it this official Kit Kat ranking, it deserves mentioning again with its official recognition as the second best Kit Kat that we sell. Yeah, it really is that good. 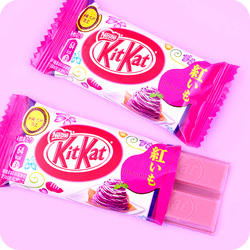 This Kit Kat gives you peachy goodness in a cute pink Kit Kat bar and it doesn't hold anything back. 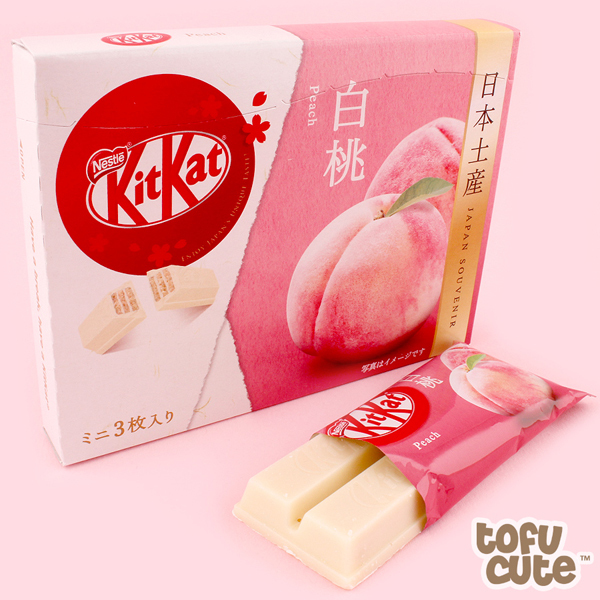 Without further ado, my personal favourite Kit Kat, and the number 1 Kit Kat of the Tofu Cute Blog is Hokkaido Melon. But why? 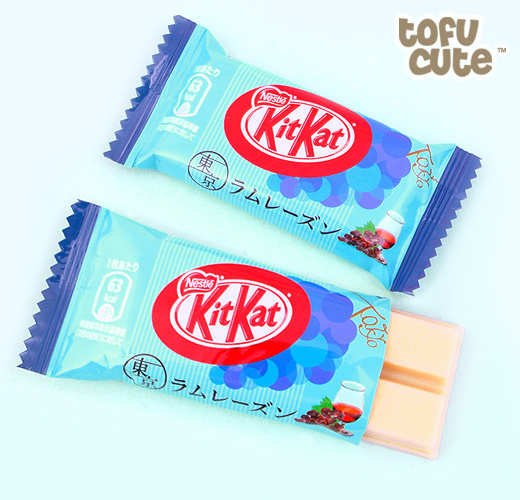 I thought a lot about having this in the top spot, as I know that this Kit Kat isn't the favourite amongst Team Tofu, but it is also as liked as it is disliked, and I think that as well as being a delicious Kit Kat, it represents everything that a delicious Japanese should be: unique, flavour accurate, tasty and aesthetic. 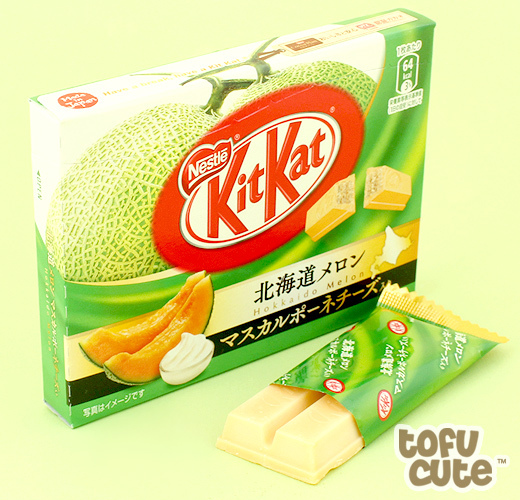 The Hokkaido Melon 3-pack has all of this and more in spades - its a flavour that is rare to find in chocolate and is specific to the Hokkaido region of Japan, it tastes like delicious fresh melon and it fits well within the range of gourmet Kit Kats that Japan is known for. I think it tastes the best of the wide range of flavours available, but that's just my opinion. 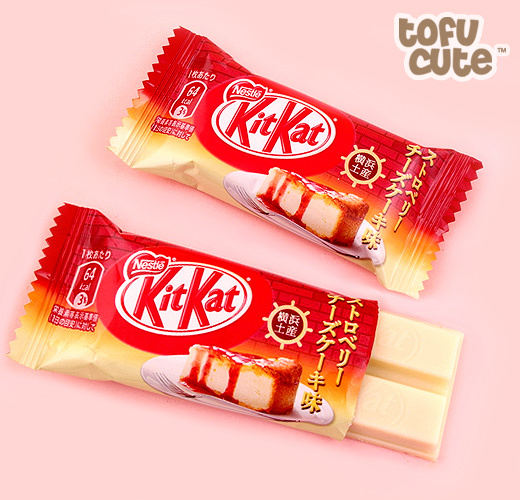 I definitely think if you've never tried a Japanese kit kat before, it's the one I'd recommend. What's your favourite Kit Kat? 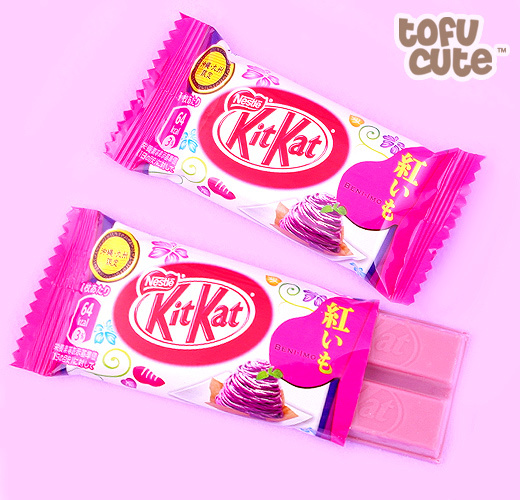 Do you have a favourite Kit Kat from our shop? Do you disagree with our list? Feel free to let us know your thoughts on our Facebook, Instagram and Twitter. 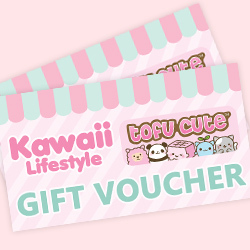 Don't forget to react to this post using the buttons below to earn yourself some FREE tomodachi points for reading! 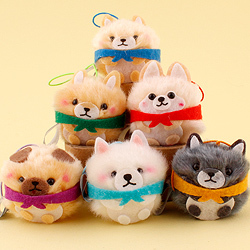 All Flavours of Puccho, Ranked! 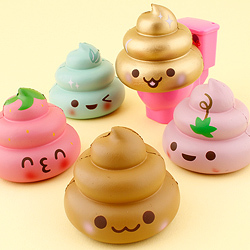 Next Article >> All Flavours of Puccho, Ranked!